An innovative ground source heat pump company is helping to power retirement properties across the country. As the affordable low-carbon revolution gathers pace in the energy sector, attention is increasingly turning to one of the UK’s other big polluters: heat generation. Almost 40% of the energy consumed in the UK is in the form of heat and its generation. It accounts for 20% of UK CO2 emission, while renewable heat remains significantly under-utilised, amounting to just 1% of the UK’s heat requirement. This challenge is perhaps even more daunting in the context of an ageing population. With the number of people in the UK aged 85 or over expected to increase by 48% over the next eight years, there are swathes of new retirement complexes being developed across the country – all of which will require affordable, efficient heating solutions. Rendesco, a company dedicated to combating climate change through renewable heat installations, is on a mission to tackle this challenge head-on. Rendesco is responsible for designing and installing ground source heat pump systems worth at least £250,000 per site, completely free of charge. The company then manages the system for 20 years and achieves a return on investment via the UK government’s Renewable Heat Incentive (RHI). Over the last three years, Rendesco has successfully installed 19 systems in new build developments for retirement homes across the UK, and a further 26 are currently in progress. 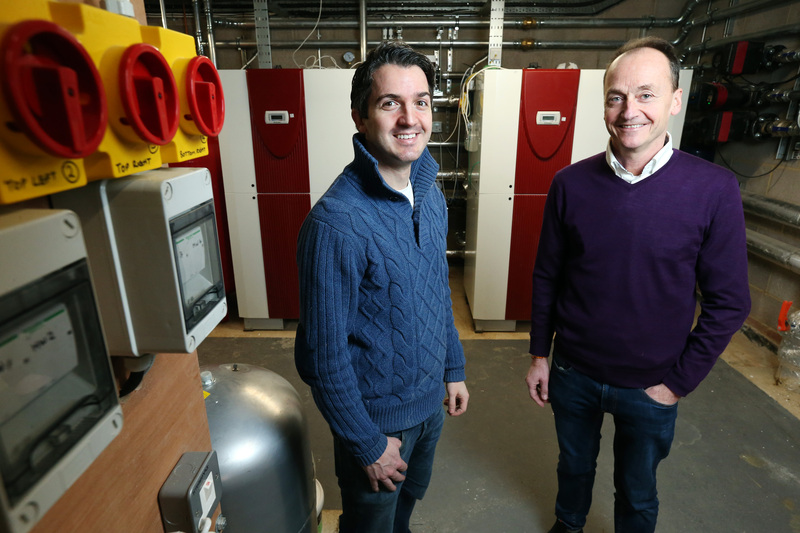 Building on this momentum, Rendesco is now looking to raise £5.5 million through a bond offer on Triodos’ crowdfunding platform to reach a total of 100 ground source heat pump systems in retirement homes around the country. The bond pays an interest rate of 7% gross per year and will be redeemed after seven years. The bond is also eligible to be held in a Triodos Innovative Finance ISA (IFISA), allowing investors to receive tax-free interest. For a higher rate taxpayer, a bond paying 7% interest per year in an ISA is the equivalent to a bond paying 11.66% interest per year held outside an ISA. Bonds are also available to be held in a self-invested personal pension (SIPP). Keep in mind that unlike bank deposits, an investment in Rendesco’s bonds is not covered by the Financial Services Compensation Scheme and interest and capital payments are not guaranteed. Because the bonds are not listed on an investment exchange, investors should be prepared to hold the bonds for their whole term. Investors will also need to meet eligibility requirements if they want to hold the bonds in an Innovative Finance ISA. Over the next two years, Rendesco will seek to use the £5.5 million raised to install 100 ground source heat pump systems in retirement homes across the UK, and at the same time enable its clients to save both money and 4,273 tonnes of CO2 per year compared to using a gas boiler.